A friend of mine commented yesterday on a pleasurable pastime of mine – having a glass or two of nice wine at dinner. She said, “white wine is empty calories. At least red wine has bioflavonoids!” I sat there slightly dumbfounded. I knew, without a doubt, I had never even considered this in my choice to drink wine at all, or when I have had to choose between white wine or red wine. I don’t think I said anything. I knew at that moment that our perceptions were so totally different, and that any further discussion should be left for another time. The topic could get deep. 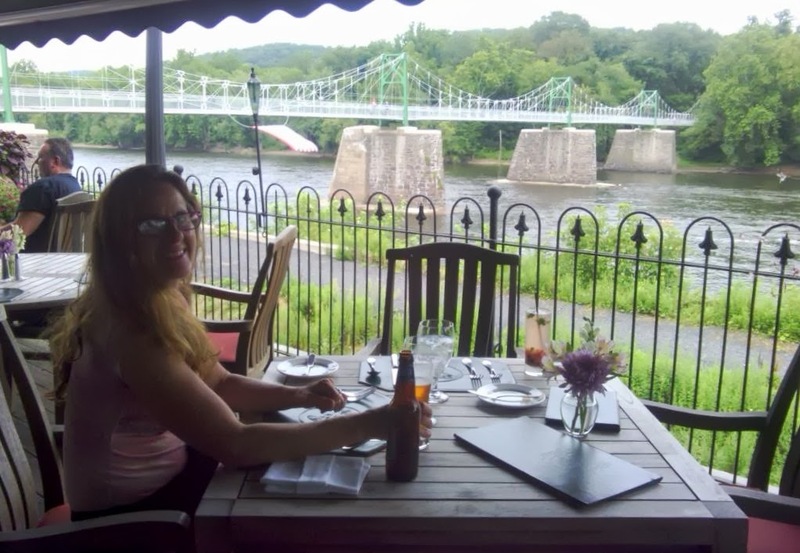 So tonight on the way home, after I enjoyed a glass of my favorite Organic (no detectable sulfites) Pacific Redwood Syrah at dinner at Rick’s in Lambertville, NJ, I carefully considered my relationship to wine, and food in general. But before I go into my insights, I’ll just give you some background info about me: I am a Libra sun sign. I love things in moderation. I most often see both sides of an issue. I love balance. I rarely, if ever, overdo anything. I enjoy simple pleasures in moderation. I am daring, yet cautious. If given the choice between ingesting a periodic glass of wine, which to me is pure pleasure in the form of flavor, or thinking about my caloric intake, I would choose the former (in yoga energetics, pleasure is the “right” of chakra two – location is pelvic region of the body). I do like the light “take the edge off” effect wine has on my brain too. I realized tonight, that for this friend, not having the wine was just as intensely pleasurable for her because she was doing something she perceived was physically and practically beneficial for her body. Her choice was as natural and obvious to her as my choice was to savor my beloved beverage. Encountering another person’s reality can at first throw us off and often our minds will judge them. But variety is the spice of life! I love when I can honor people’s preferences and perceptions of life, and at the same time, my own. My large world view is the spice of my life! I am grateful for my open-minded mind. As I finish this blog, I raise my glass to my mouth and notice the light reflecting on the bottom of the glass. Ummmm, that was a delicious last sip.